Kids love making and giving cards. In our family we try to make own cards for every occasion. 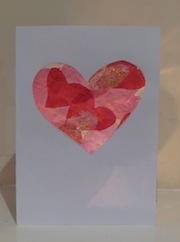 Here you'll find ideas for making kids valentine cards. It's a great way to have fun and be creative by making cards for mummy, daddy, siblings and other special people. 1. Gather together your materials and using either scissors or a heart-shaped stamp cut out 10-15 hearts of different coloured tissue paper. We used our trusty Tonic Studios' medium size heart cutter which we got online from Amazon. 2. 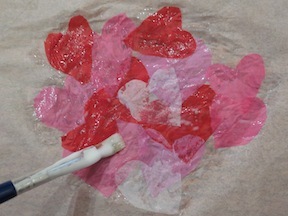 Cover some white tissue in PVA glue and layer on the hearts making sure there is enough glue to stick them all well down. 3. 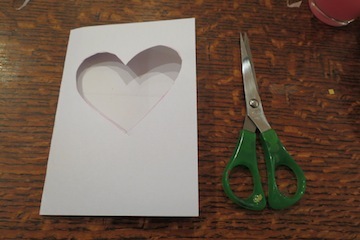 Draw a large heart shape on to a folded piece of card stock and using some scissors cut it out. This does not have to be perfect though younger kids will need help. If an adult is going to be around they might be able to use a craft knife for this but don't let the kids get hold of it! 4. Cut out your stained glass into a square just a bit larger than the cut-out heart on the card. 5. 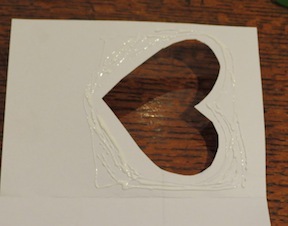 Paint some glue around the heart shape on the inside of the card. 5. 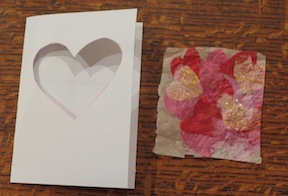 Stick the stain-glass tissue down so that the "right" side of the tissue faces through the heart to the outside and the white base tissue is showing on the inside of the card. There you have it! A beautiful see-through Valentine Card. 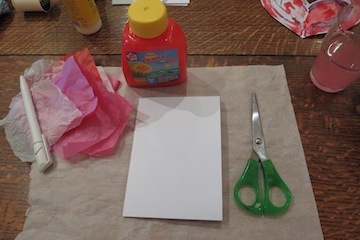 This is a super sweet and easy way for small children to send Valentine cards! 1. Paint their thumb with some red poster paint and print it onto some card twice, the first time leaning slighly left and the second time slightly right. 2. 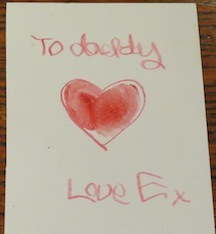 Outline with a red pencil and write a message (or if they are able get them to write). How sweet! Sponge or Toilet-Roll Printed Hearts! 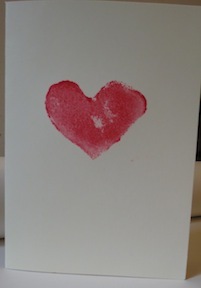 Another super easy printed card for little ones to make for friends or family. 1. 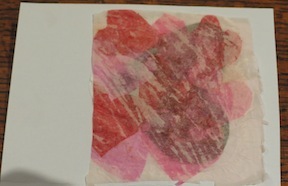 Check out the instructions for making a sponge print of valentines day hearts here! 2. Instead of printing on paper print straight onto a piece of folded cream or white card stock. Or, cut up the page of printed paper and stick it onto a piece of card stock. You could even use these prints to make envelopes!